Micropiles are an effective alternative to conventionally bored piles and driven piles where ground conditions are unfavourable, access is limited or difficult for large piling rigs. QPS micropiles rely on the transfer of load via shaft adhesion of the drill hole rather than bored piles which rely more on end bearing. The micropile design takes into account the geotechnical adequacy for load transfer under friction and the number of micropiles are dictated by the structural design. QPS specialise in micropiling and offer the following techniques depending on application and geotechnical conditions. Using conventional rotary drilling QPS drill an open hole with air to remove drill cuttings for placement of a small pile cage or single large diameter bar central to the hole. The micropile is grouted in place by pumping grout from the toe of the pile to the surface. Usual tremmie concreting methods are avoided here due to the limited hole size. In some instances, prevailing geotechnical conditions prevent the hole staying open which is where QPS can provide tubular steel casing using overburden drilling techniques. In this application QPS advance the casing with a purpose designed drill head to position the toe of the casing beyond the challenging conditions. The drill head is unlocked and removed from the cased hole to permit drilling of the rock socket to the required depth offering a full open hole. 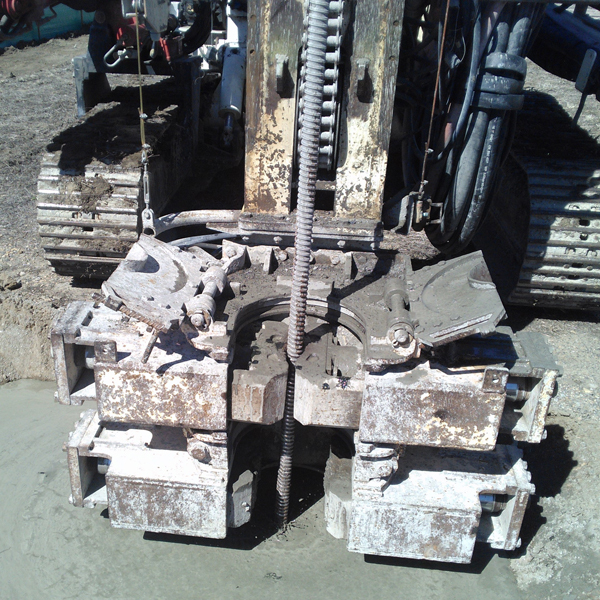 QPS can provide micropiles using this methodology up to 330 dia for open hole and 240 dia where cased. The hollow bar micropile is an engineered system that allows for the micropile bar to act as the drill string. 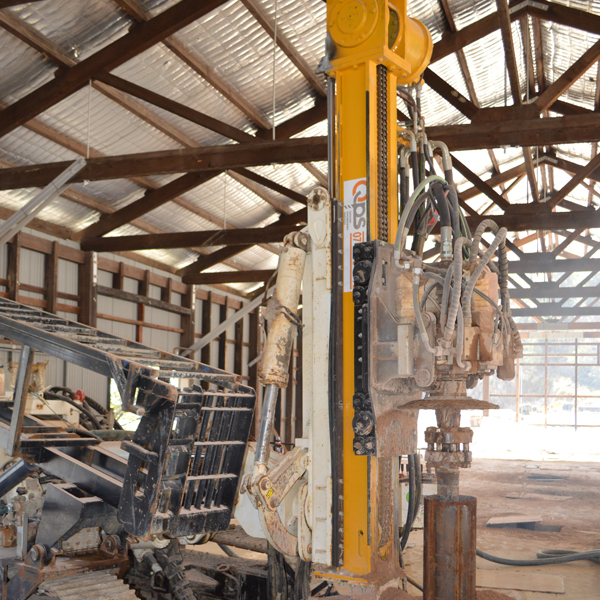 The hollow bar is connected to the drill head of the drilling rig where grout can be pumped through the bar and expelled through a sacrificial drill bit. As the micropile is advanced a weak grout is pumped under pressure and jetted from the drill bit which penetrates the surrounding ground whilst suspending drill cuttings that are flushed to the surface. After drilling to the design depth the grout consistency is altered to meet design strength and pumped through the hollow stem of the micropile to return to the surface via the drill hole providing a high strength grout column and durability to the micropile reinforcement.